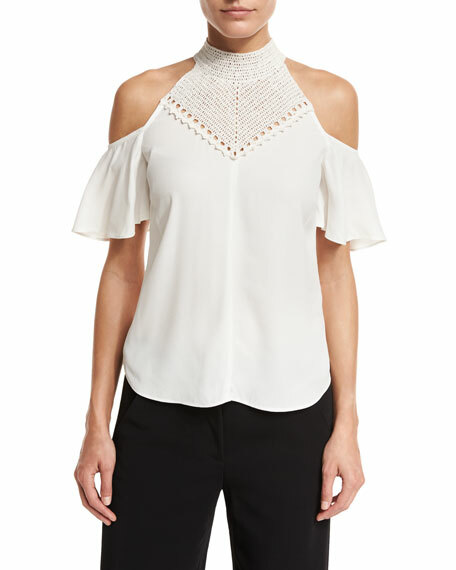 Chloe crepe de chine top. 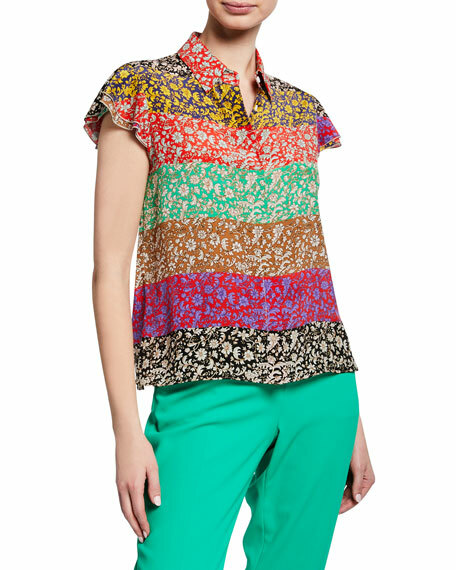 For in-store inquiries, use sku #2416606. 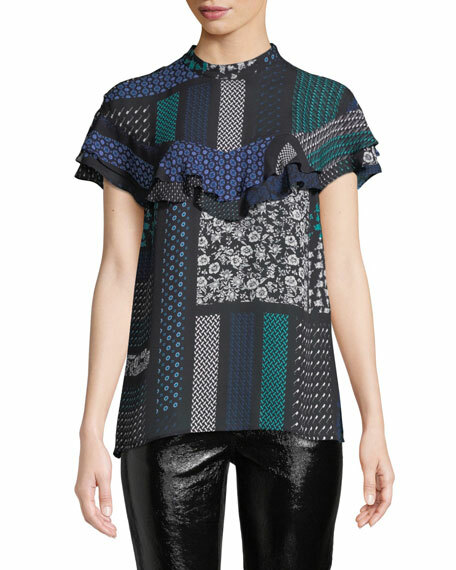 Derek Lam 10 Crosby top in mixed-print silk. 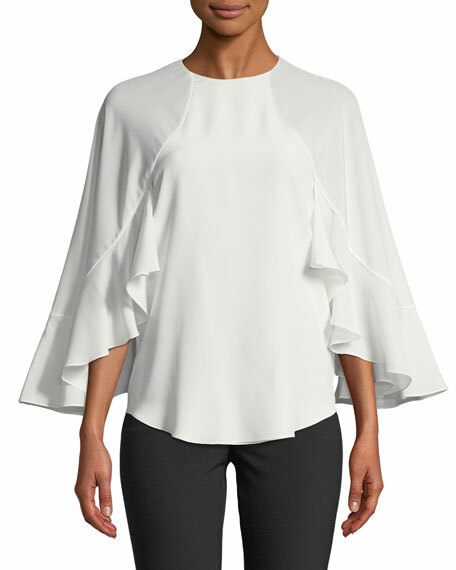 Crew neckline; tiered ruffle trim at yoke. 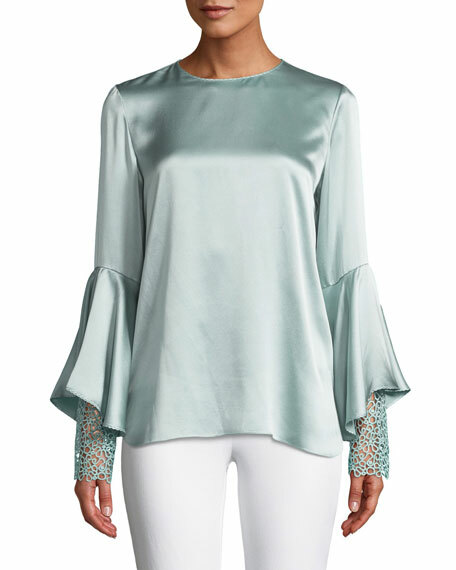 Short flutter sleeves. Relaxed fit. 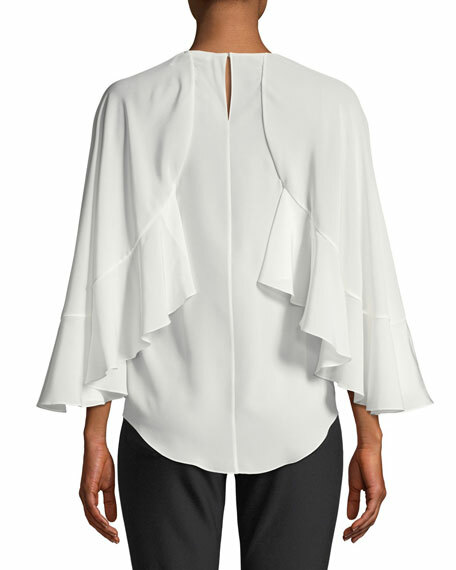 Button placket at back. Slipover style. Polyester lining. Imported.